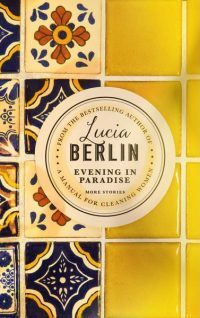 The stories are loosely autobiographical, arranged chronologically to follow the arc of Berlin’s life, and take us from a pair of seven year olds running a scam in El Paso, through the beauty and disillusionment of a young girl’s first romantic liaison, to young wives coping with kids, their husband’s addiction, abandonment, to a furious old woman on the roof of her own house while her family try to celebrate Christmas. Savage, funny, shocking and beautiful, they present some unforgettable images – the iridescent, sulphurous smoke of the smelter in a mining town, the yellow aromo blossom sticking to a couple’s skin – in concise writing that brings the reader up short with its power. The dark thread of alcoholism runs through many of the stories as well as the brighter threads of love, romantic and maternal, and of beauty found in the most unlikely places. Outstanding.